We all know very well that for the several weeks the price of the next iPhone (iPhone 8 or iPhone X) was a trending topic of conversation, a reason for reporting because this could reach the thousand dollars in its base version. For several weeks the price of the next iPhone was a topic of conversation, a reason for reporting because this could reach the thousand dollars in its base version. A price that many consider prohibitive in India for a smartphone. A few days after the official announcement of the iPhone, which marks 10 years of this gadget in the market, one of the most visible sources of rumors of the iPhone 8 came to disclose prices ranging from $999, with the configuration of 64GB, up to 1199 dollars, for the 512GB version. In India, this new iPhone could cost more than Rs.1 lakh (in the 64GB version). The rumor came from Benjamin Geskin who posted on Twitter a post, on Monday, where he gave a hint, in rumor form, the price tag of the “iPhone 8”. 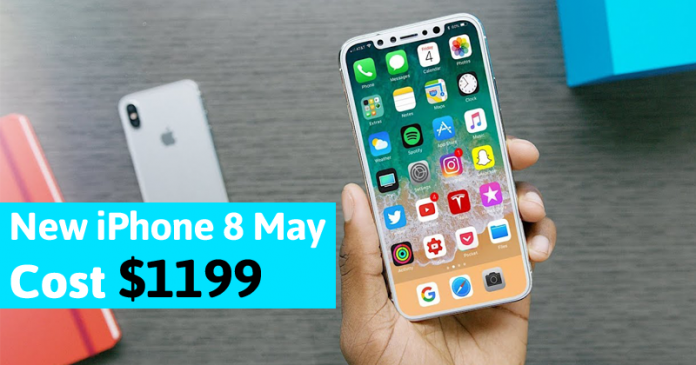 As always, citing a friend of a friend who works at the tech giant Apple, Geskin has advanced that the iPhone’s tenth anniversary will cost $999 for the 64GB version. The 256GB version will cost $1099 and the 512GB version will cost the modest $1199. The price of $ 999 was not initially advanced by Geskin. A few days ago, it was already pointed to the $999 for the base version and it was even said that the most expensive version could be around $1200. Looking at the US market, currently, the iPhone 7 Plus costs $769 for the 32GB version, in India costs Rs.56,300, the 128GB costs $869, in India Rs.67,500 and the 256GB version costs in the United States $969 while in India it costs Rs.75,999. So we can see an increase of Rs.24,000 in the base version, past this 32GB to 64GB and 769 dollars for the $ 999. This could mean that the base version in India could cross Rs.1 Lakh, following a little the trend associated here.